The Family and Medical Leave Act (FMLA) was instituted in 1993 as a U.S. federal law that makes it a requirement for qualified employers to provide employees with unpaid leave for qualified medical and family reasons without worrying about losing their job. Unfortunately, with the benefits of the FMLA came variations of FMLA abuse. Proving this abuse is taking place, however, can be tedious and time-consuming for employers. Engaging the services of a corporate investigator can ease the burden of attempting to track employees who you suspect of abusing the FMLA. Most people think of the FMLA as an initiative that makes it possible for employees to take significant time off from work to care for a sick child, ailing parents, or to manage their own health problems without losing their employment along the way. Women who are pregnant often use the FMLA to cover extreme morning sickness or periods of medically prescribed bedrest. The FMLA is also used by people who are undergoing chemotherapy and require several days of leave at a time. Hard-to-prove chronic health conditions, like bad backs or migraine headaches. Suspicious absences that tend to fall on a great number of Fridays, Mondays, holidays, or around scheduled days off. Absences that don’t seem to gel with a medical diagnosis. Absences that exceed the medical certification, for example, a migraine warrants two days off but the employee has taken longer for recuperation during recent occurrences. Opportunities to earn more money outside of their regular employment. Limitation of available work hours. A desire for more time off without the threat of job loss. Some employees may abuse the FMLA because they believe it’s their right to keep their job and take the time to make extra money or seek better or additional employment when the opportunity allows. But the cost of FMLA abuse to employers is great and the disruption in the workforce can be immense. Human resource professionals have reported that abuse of intermittent FMLA leave can lead to morale issues within the company, particularly for employees who must cover the workload of their absent colleagues. The tracking and administering of intermittent FMLA leave to ensure that there is no abuse is often cited as one of the most difficult activities of HR management. There are human resources concerns when it comes to asking about the nature of the need for intermittent FMLA leave, as HR professionals want to avoid violating HIPAA by asking personal questions of a medical nature. 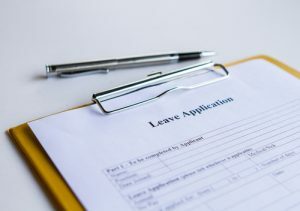 It is, however, possible to request medical certification and recertification from an employee in order to green-light the use of the FMLA and to show that the leave is being tracked. Recertification can typically only be requested every six months, which allows plenty of time for FMLA abuse to occur, barring special circumstances that cast doubt upon the validity of such medical certification and would warrant an earlier certification. Even in situations where it is clear that a company’s HR department is keeping a close watch on employees using the FMLA, it is still possible for FMLA abuse to occur. 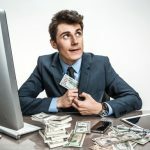 And for companies that are not closely monitoring FMLA, or employees that do get away with this abuse, or abuse that is left unchecked, the idea of using the FMLA to your benefit can spread to other employees. Coworkers of FMLA abuser may be under the impression that the company allows people to get away with such abuse, so why not take advantage of it themselves. 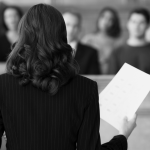 Why Hire ASG for an FMLA Abuse Investigation? FMLA abuse is an ongoing, significant concern for employers. 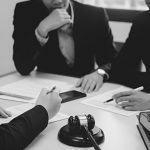 It can be quite a challenge to accurately determine if someone is abusing your company’s leave policy or code of business conduct. By hiring a professional private investigator to carry out surveillance, you send a message to your employees that this kind of behavior is taken seriously and will not be tolerated. ASG has extensive experience documenting FMLA abuse within a wide variety of industries, including those employing an organized workforce. From video surveillance to monitoring social media accounts to simply documenting activity to build a case for the defense of a wrongful termination suit, ASG regularly investigates instances of FMLA abuse to show how an employee is really spending their time, especially cases where the offending employee is working elsewhere or has a side business of their own. The Family and Medical Leave Act allows qualified employees to take up to 12 weeks off of work in a 12-month period and not lose their job. The employer is not required to pay the employee for the entire 12-week period, however, they must keep the employee’s job. Only companies with 50 or more employees are required to comply with the FMLA provisions. The law itself has few provisions to help curb FMLA abuse. It does allow the employer to require employees to provide medical documentation to support their request for FMLA leave. Unfortunately, many physicians will comply with the employees’ requests based on subjective complaints only and many of the covered illnesses are chronic medical conditions that wouldn’t necessarily prevent the employee from continuing to work. In these cases, employers need to use surveillance services to document the employee’s activity while they are on FMLA leave.